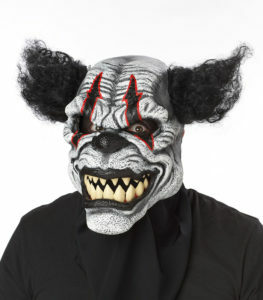 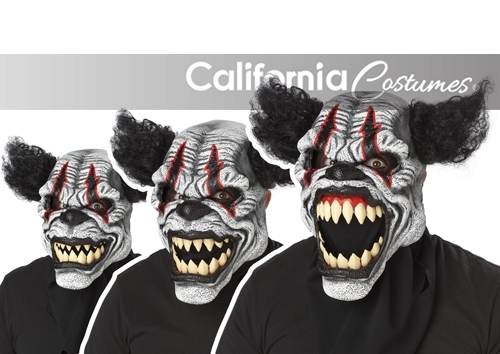 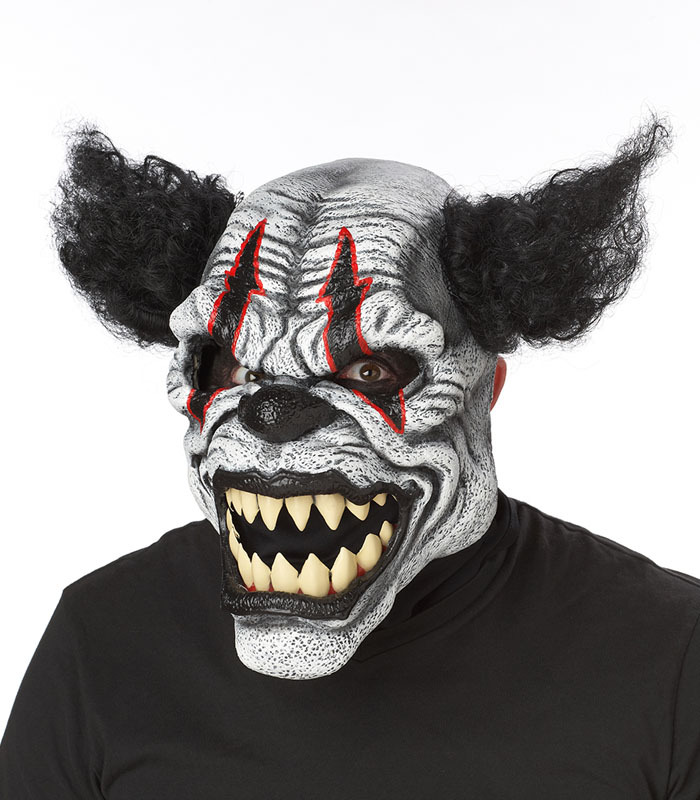 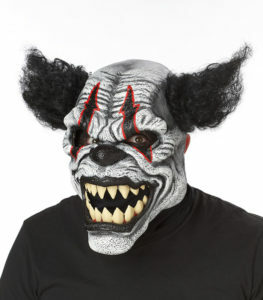 Product Description: A precarious punch line, the Last Laugh The Clown Ani-motion mask features moving mouth action. The mask is composed of a foam skin that lays over a plastic backing. 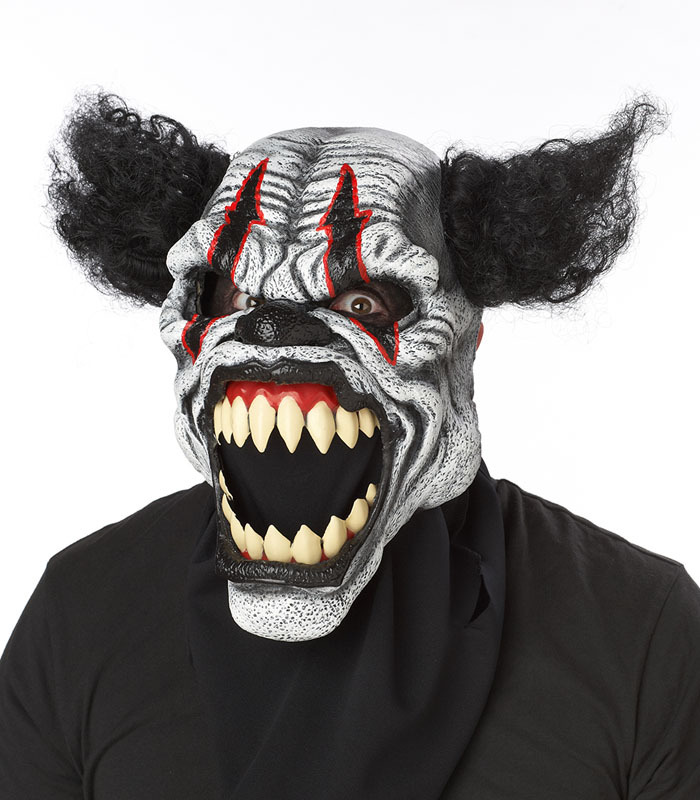 The mask motion is powered by the wearer's own jaw and chin motion.